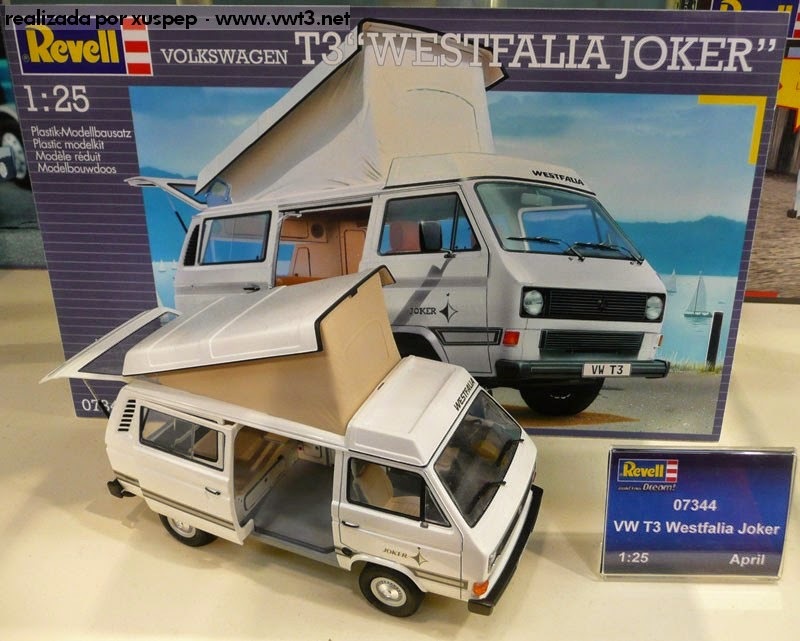 VOLKSWAGEN'S SQUARE-SIDED, rear-engine Transporter 'Bus' is a popular camper van as it offers many of the features of earlier Bays and Split Screens, but with more modern components and features. Also known as the Vanagon, Microbus, Caravelle, T3 or more commonly, T25, it first appeared in 1979 with the Bay Window’s rear mounted air cooled engine. Water cooled diesel and petrol engines appeared later in 1982-83. 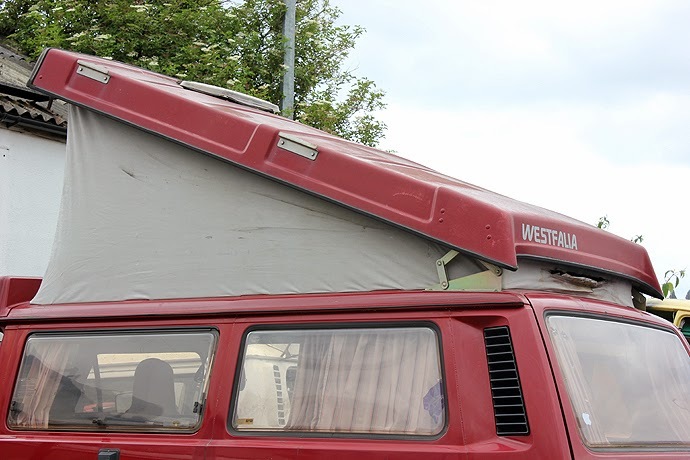 Converters including Devon, Danbury and Westfalia have all created practical campervans from the T25, with elevating roofs, kitchens, electrics and beds for five people. Expect to pay around £1000 or more for a tatty abandoned project. £2000-£4000 buys a useable vehicle with wear and tear, whereas budget for up to and beyond £10,000 for later T25s in top condition with modern features. The underside of the T25 doesn’t usually corrode, but check around the chassis rails and sills. 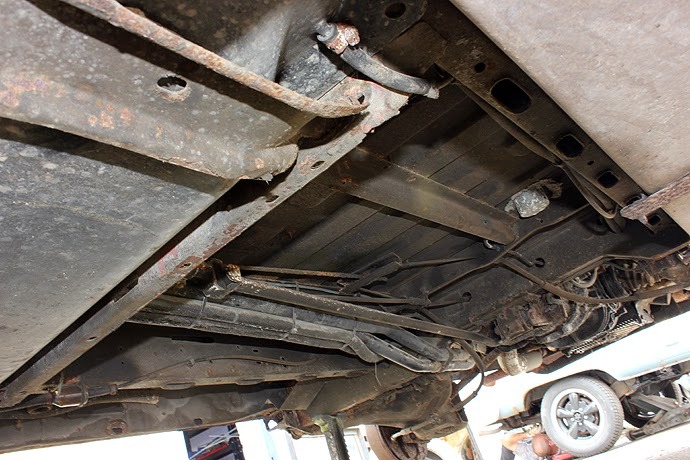 If the jacking points are corroded, these can be complicated to repair. 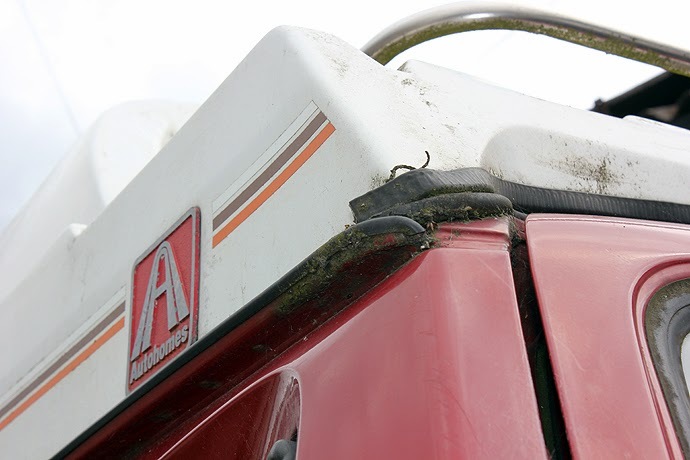 Also, look around the middle seam of the fuel tank for signs of leaking. Many of the exterior panels are seam welded together and covered in sealant. If the seams are rotten, repairing them is complicated and expensive as the rot usually extends beyond the exterior of the seam. Check the wheel arches for corrosion, poor repairs and filler. 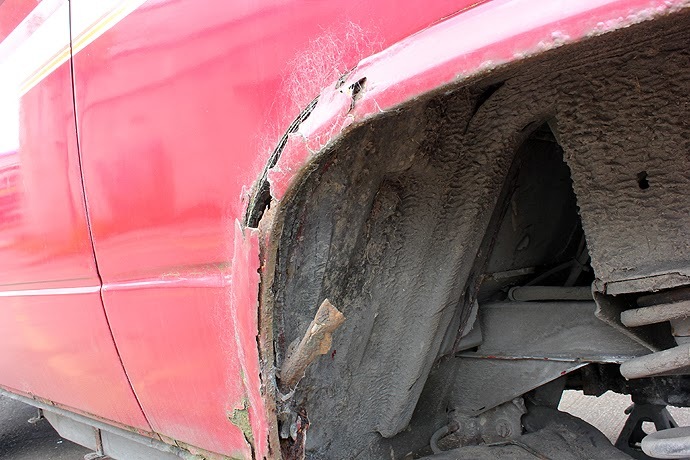 Repair panels are available, but the rot may go beyond an outer arch, resulting in holes through to the interior or close to a suspension mounting point (MoT failure). 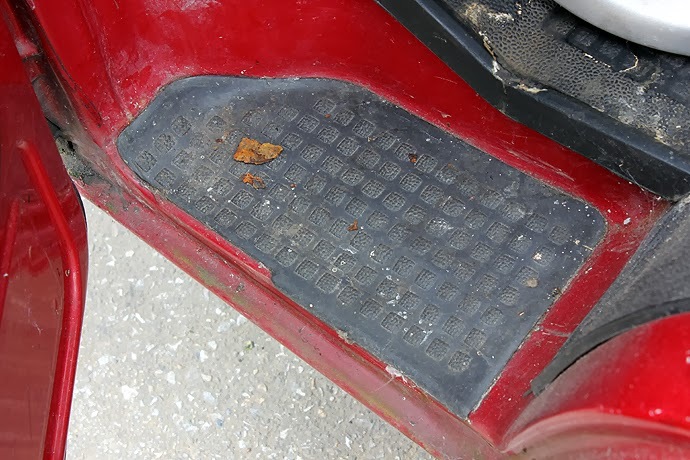 Check along the door bottoms, around the windscreen (corners usually rot) and inside the guttering for corrosion. The guttering on GRP high-tops is often filled with sealant, which can crack and trap water. Use step ladders to closely inspect inside them. 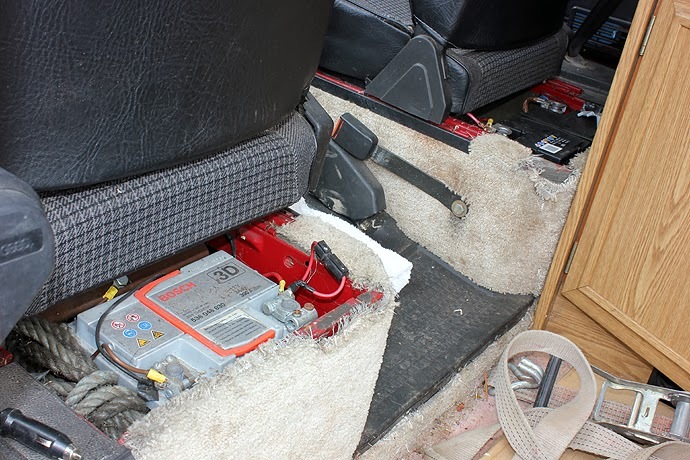 The main and leisure batteries are located under the driver and passenger seats, except diesel models where the main battery is in the engine compartment. Look for corrosion around the base, caused by leaking battery acid. Make sure the sliding door opens, closes and locks from the inside and outside. Sliding components can fail and some are expensive to replace. 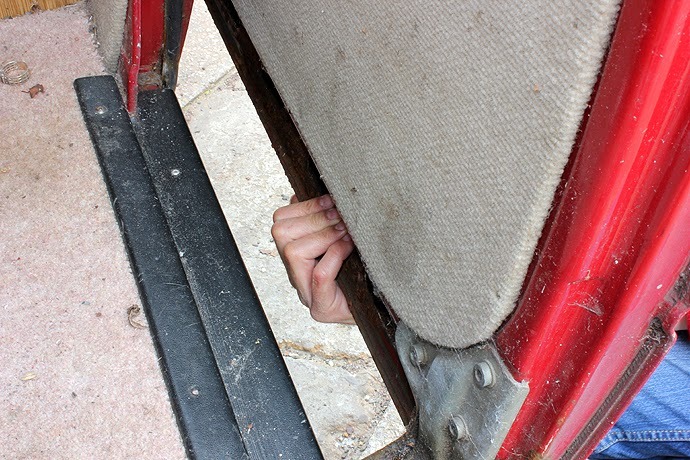 Feel along the bottom of the door for corrosion and make sure it is clean. If an elevating roof is fitted, check it works properly and closes securely. Make sure any canvas isn’t torn or mouldy. 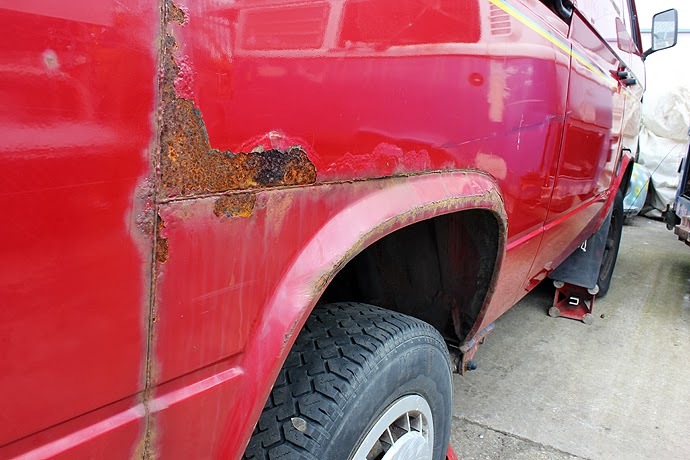 Look for signs of leaks, which can run down to the floors of the ’van and cause corrosion. 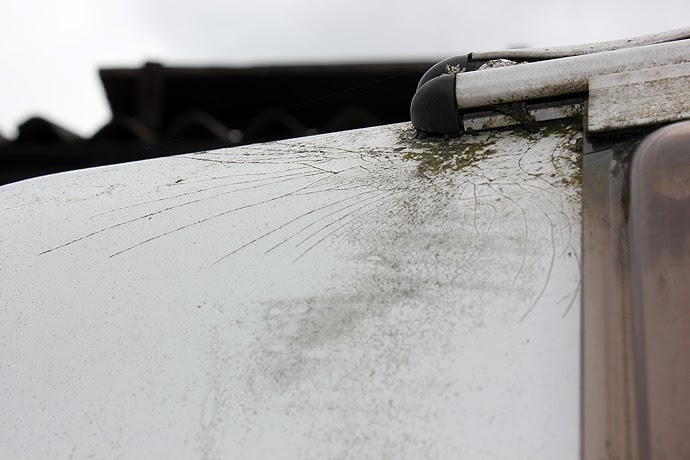 if the ’van has a GRP high-top, look for spider cracks where the exterior of the fibreglass has cracked – usually superficial. Look at the front and rear for signs of damage, often caused by car park height restriction barriers. Water cooled engines have a radiator mounted at the front with long coolant pipes running to the engine at the rear. Air locks will cause overheating and the radiator can fail. Look for signs of leaks and overheating. Oil leaks can emerge from the pushrod tubes on all petrol engines. Diesel engines are reliable, but expensive to replace (some owners find a used engine from a Golf). 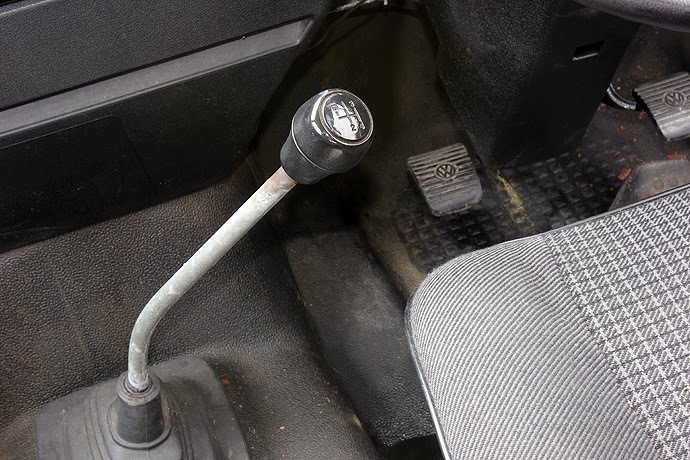 Start the engine and look for the tell-tale blue exhaust smoke, which indicates a worn engine. 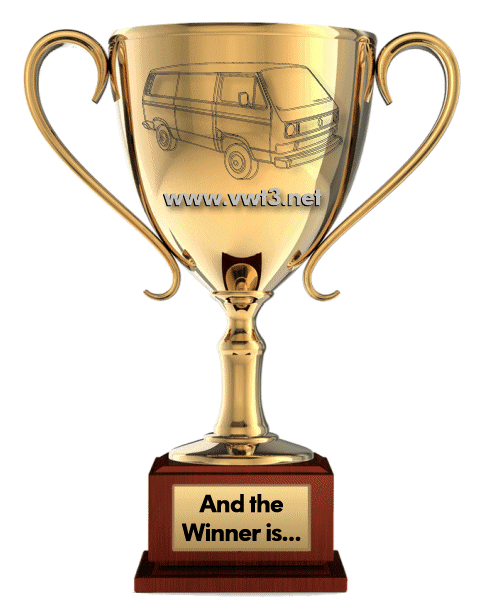 During a road test, make sure all gears can be selected and will drive the ’van. Diesel gearboxes in particular are expensive to replace (£1400-£1600 for a five speed) and are known to fail. Check the heater blows warm air through to the front. 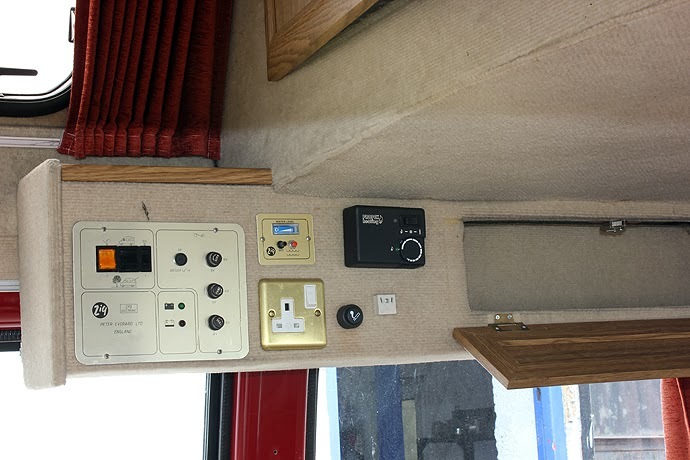 Make sure all the ’van’s electrics work, including camping equipment such as a fridge, lights and sockets. If a leisure battery is fitted, find out how it is charged and wired-up. Check all seats are operational (e.g. 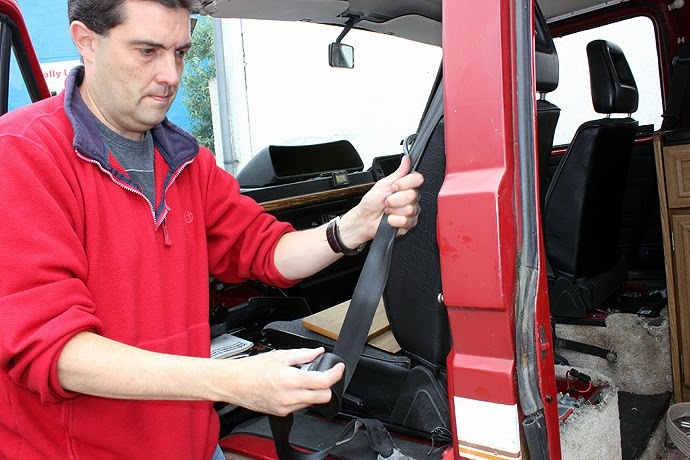 a rock and roll bed folds down) and all seatbelts work properly. If any of the seats are damaged and they match the rest of the interior, can you get the damage repaired? 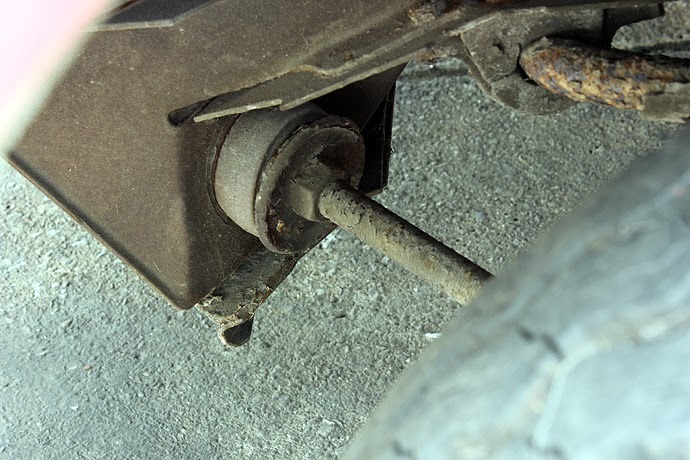 Check the tie rod bushes for the front suspension are not split (MoT failure). These are tough to renew. During a test drive, if there are knocks from the front suspension, the upper wishbone bushes may be worn (a common problem). Press the brake pedal down hard. If it sinks to the floor, there’s a leak or the master cylinder needs overhauling. Check the front discs for pitting and excessive rust. 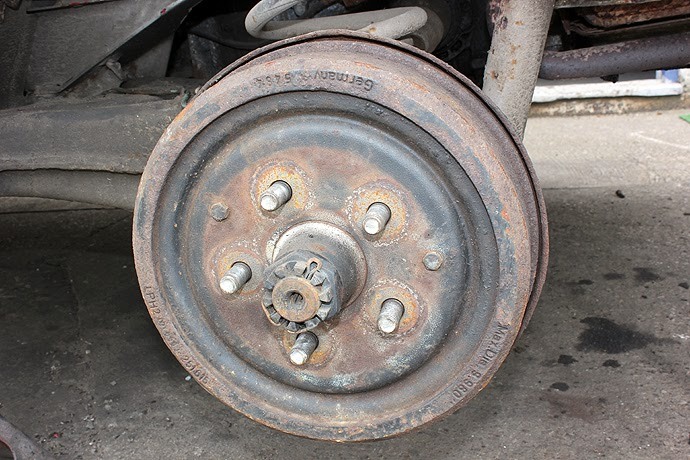 The rear brake drums are self-adjusting, but usually don’t, so make sure the handbrake works. Air cooled: Models from 1979-1983 are usually air cooled with sizes ranging from 1.6 to 2.0-litre. Water cooled petrol engines range from 1.9 to 2.1-litres. There are also water cooled diesel engines including a 1.6 and 1.7-litre naturally aspirated and a 1.6-litre turbo. Volkswagen T25: Preserve or restore? If you want a T25 that’s ready for a summer of camping, then we recommend finding a well looked after, original example with lots of history and evidence it has been serviced and maintained. A recent restoration is tempting, but only if you are sure the panels are not full of filler and the job has been done correctly. Water is the cause of many problems on the T25. It can get through the seals on the door tops, find its way down to the bottom of the doors and cause corrosion. It can find its way through elevating roofs and also start the rotting process. However, a lack of water can also cause problems for water cooled petrol and diesel engine models. Check that the low level and overheating warning light on the dashboard works by switching on the ignition. It should flash, then go out. Don’t trust that the coolant system is okay. 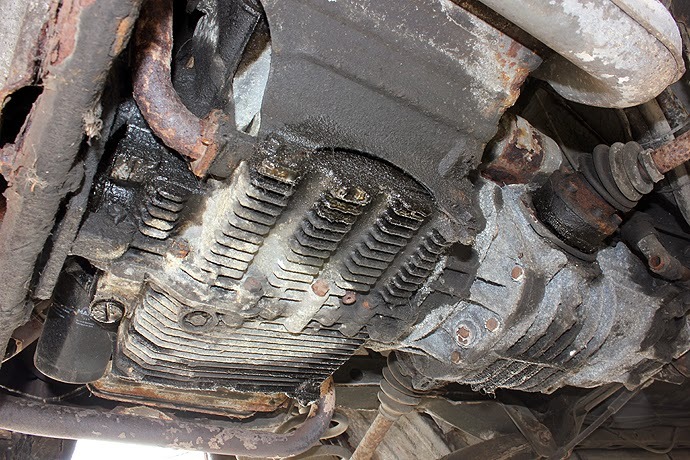 Look for evidence that the previous owner has kept up with routine maintenance. 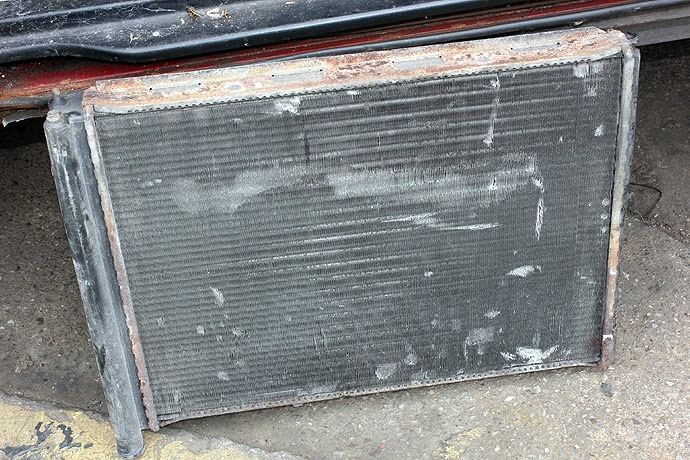 A new radiator costs around £150 and is much cheaper than an overheated and failed engine.